1986 Wisden - Hardback & Dust Jacket. 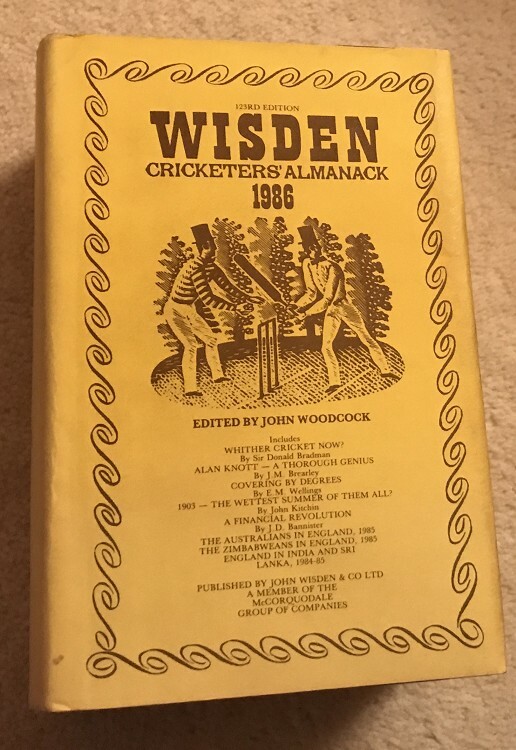 This lot is a 1986 Original Hardback Wisden with Dust Jacket, it is in very good condition for the year, some darkness to the DJ and odd small mark, nice inside. Buy-it-now. More 1986s available from £8 to £25, please ask.